Fabulous and Brunette: Lessons from the Set by Usher Morgan - Book Tour - Interview - Giveaway - Enter Daily! 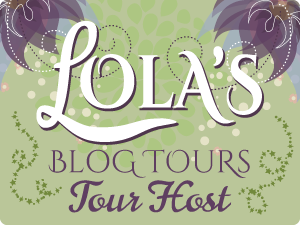 Lessons from the Set by Usher Morgan - Book Tour - Interview - Giveaway - Enter Daily! Hi lovelies! It gives me great pleasure today to host Usher Morgan and his new book, “Lessons from the Set”! For other stops on his Goddess Fish Promotions Book Tour, please click on the banner above or any of the images in this post. Be sure to make it to the end of this post to enter to win an autographed copy of the featured book!! Also, come back daily to interact with Usher and to increase your chances of winning! 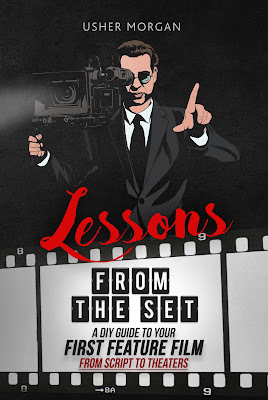 Lessons from the Set: A DIY Guide to Your First Feature Film, From Script to Theaters is a step-by-step filmmaking guide that takes a cinephile’s “Do It Yourself” approach to low-budget indie film production and distribution. This book will offer you some valuable, practical insight into the process of making a commercial feature film on a low budget and releasing it to theaters – whether you’re starting with $1,000 or $1m. Lessons from the Set will guide you through the process of writing, planning, directing, producing, marketing, and releasing your first feature film. You’ll learn how to overcome writing challenges and improve the quality of your screenplay, how to make $0 budget short films and perfect your craft, how to plan your film, master filmmaking tools, and set the stage for your upcoming shoot. This book is peppered with life-saving tips, tricks, and filmmaking techniques that will save you a lot of time, money, and energy on set, in pre-production and in post. You’ll learn how to release your film to theaters, how to tackle festivals and win awards, how to handle press and get reviews, execute marketing efforts, and approach the filmmaking process with both an artistic soul and an entrepreneurial mindset. Lessons from the Set was designed to give you all the tools and resources you’ll need to complete and release your film successfully in any market and help you set the stage for a prosperous career as a full-time indie filmmaker. Making movies for a living is something that a lot of filmmakers aspire to. Being in a position where you can make films and release them to theaters or straight to video on a consistent basis is the ultimate dream for most, but it is also a cause of frustration and anxiety to many. I believe it to be the main reason why so many good people who venture into this business quit before their time. The cost associated with making films, along with the pressure and artistic skill demanded, and the obligation to adhere to budgets and generate revenue, can prove to be a challenging feat that many people assume is beyond their capabilities. There are plenty of people who proudly wear the “broke artist” tag and look with distaste upon those who go into this business for the dollar. The one thing that many “broke artist” types fail to keep in mind is that the movie business is a business and, like any other business, your job is to produce a great product, cost efficiently, sell it to consumers, and generate enough money so you can make more products. More products mean more revenue – that is the nature of any product-based business. The only way you can sustain your business is by making movies that generate revenue, and if you lose money on every film, you won’t last long. Now, as far as I know, there are two key ways by which you can derive your income from making and selling feature films: (a) you can make a movie and sell it to a distributor; or (b) make a movie and sell it on your own. That’s it, really. However, when most independent filmmakers think about the prospect of getting their movie made and sold, they’ll opt to go for option A. They’ll send it to major film festivals in hopes that during their circuit, the movie will hit a cord with a capable distributor who would show an interest in buying it. If the distributor is big, they may get a theatrical release, and a good deal of money could follow. They’ll be featured in the press, be courted by agents, and have an easier time getting funding for their next project – and life will be grand! And if the distributor is small, the movie will go straight to DVD/VOD/Blu-Ray, and they’ll make a little less money and maybe have to work a little harder to get their next movie lined up, and the next one – it will be the big break they’ve been waiting for. Take any of those filmmakers and offer them the opportunity to distribute their own films and they’ll snigger, “I’m not interested in doing marketing or handling sales; the business side of moviemaking is not something that I’m really interested in. I want to focus on making movies and let other people worry about selling them.” There is nothing wrong with that approach, it is, as the name states, an approach – it’s just one way of doing things. In fact, it’s the go-to approach for a big chunk of the filmmaking population. However, what do you think will happen if you take that very same filmmaker and give them a failed festival circuit? Meaning their film got accepted into festivals, but no one bothered to buy it; no one licensed it or showed any interest in distributing it... Well, now these very same filmmakers are in “panic mode.” They’ll eventually make their way to signing a deal with an online film distribution company, and their movie will most likely die in obscurity. These online, independent film distributors are the kind that’ll put your movie up on VOD and leave it there for seven years without doing a lick of marketing or promotion. They call themselves “film distribution companies,” but in reality, they’re more like vanity book publishers. They’re “movie brokers” – meaning they take your movie, put it on iTunes, Amazon, Xbox, Google Play, and other VOD channels via an aggregator (to which you, as a filmmaker also have access), and maybe send a press release out via their website and social media channels, and that’s it. The offer you get when you sign the contract is usually $0 in advance but 30% of the net, and you feel confident in the fact that you have a distributor and that your movie will finally see the light of day. A month later, the film comes out to VOD, and this “distributor” didn’t put a dime into P&A (Print and Advertising). They didn’t market the movie, they didn’t sell it, they didn’t build a marketing plan for it, and they don’t intend to push it, promote it or sell it. It gets very few reviews from the indie-fans who might buy it online, and after two years of selling, you still haven’t seen a dime – because the distributor had “marketing expenses” that kept you from actually seeing a profit. Believe it or not, that is the actual situation that many independent filmmakers find themselves in after spending years of their life pouring their hearts and souls into the making of their indie features. They hope and pray that it’ll get picked up during the festival circuit and are willing to give up their rights to do so because the thought of leaving the festival circuit without a deal is terrifying. Describe the evolution of your writing habits and how you have grown into a better/more experienced writer. Well, I’ve been writing for a few years now and the progression is evident. I would like to think that I’m getting better at editing my own work with every new project, and at the end of the day, the judgment is mine to make and for others to criticize, I guess we’ll have to see how good I can get in a few years when I’ve had a number of screenplays under my belt. With regards to education, I think that If anything I learned how to write in my own voice, whereas before I was trying to “imitate” authors and writers that I admired, now I think that the material I create very much comes from the inside. Finding your voice is a challenge, and I want to believe that I found mine, and am now ready to unleash it. On top of that, I am constantly learning. Taking new courses, seminars, and spending a good deal of time reading and practicing my craft. I follow the “hour a day rule” and make my best effort to watch other people read my own work by sharing my scripts and writing with actors, friends and colleagues. Trying to become my own best critic. Who inspired your love for books? Oh, the list is quite long. From childhood I’ve been a fan of J.R.R. Tolkien, J.k. Rowling, Elmore Leonard, Stephen King, James Patterson, etc. Recently I’ve been obsessing over Gillian Flynn (who also writes her own screenplays). And speaking of screenplays, I am in love with anything written by the likes of Wes Anderson, Quentin Tarantino, Aaron Sorkin, and The Coen Brothers. Why should we read your book? My book takes a realistic DIY approach to filmmaking, and just as importantly, film production and distribution. It gives you a step-by-step plan to take your feature from concept to production, as well as post, marketing, publicity and distribution. So if you want to learn how to produce and sell feature films in the real world, you’re aught to check it out. Thank you so much for spending time with Fabulous and Brunette readers and sharing your exciting new book with us! We wish you all the best on your book tour! Usher Morgan is an award-winning screenwriter, film director, producer and studio executive residing in New York City. Morgan started his career in book publishing and later became involved with film production and distribution. He produced his first documentary film The Thought Exchange starring David Friedman and Lucie Arnaz in 2012, followed by his directorial debut, the award-winning short film Prego. Morgan’s first feature film, Pickings was released to AMC theaters on March 2nd, 2018 and made its way to VOD in August of 2018. 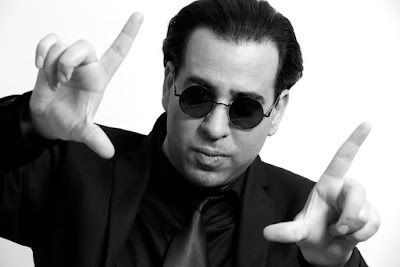 His directing style is influenced primarily by film-noir and spaghetti westerns. The Los Angeles Times calls Usher Morgan, “a talent to watch”. Usher will be awarding an autographed copy of the book to a randomly drawn winner via Rafflecopter during the tour.